Edison Pen Co – A New Edison Retailer in Canada! A New Edison Retailer in Canada! I’m proud to announce that there is a new international retailer carrying the Edison Production Line. 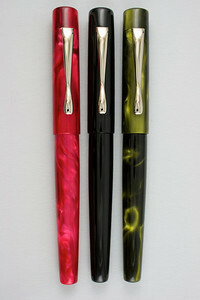 The Alexander Pen Company in Canada is now an Edison Retailer. If you are familiar with how we do things here, you’ll realize that we put a lot of thought into who will carry our Production Line, and Alexander is no exception. The company is run by Duncan Thompson, and we are really impressed with how he’s running his business. The main site is here, and the blog is here. So for our fans in Canada, here’s a nice option for you!